A slipped disc is a non-medical term for a herniated disc or ruptured disc in your back. A slipped, herniated or ruptured disc isn’t the same as a less-painful bulging disc. A slipped disc can happen anywhere along your spine. 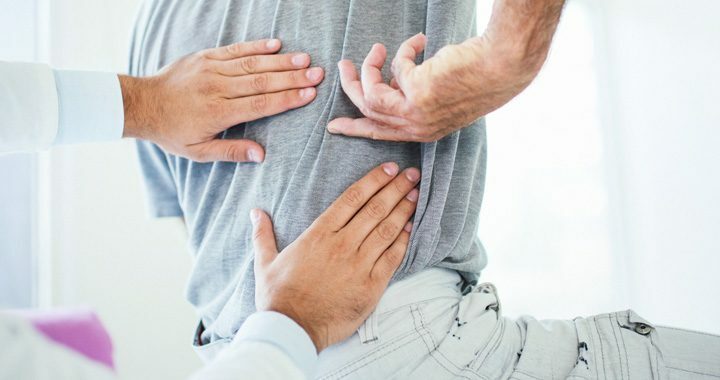 The intervertebral discs in your spine are strong ligaments that connect each of your vertebral bones to the next, acting as shock-absorbing cushions between your vertebrae. As you age, so do your discs. Aging discs can become stiff, and the hardened layer of cartilage may crack. Some of the softer inner cartilage leaks out. Herniated discs cause pain when they protrude into and inflame nearby nerves. A slipped disc can cause sharp and severe back pain, which worsens when you’re active. It might feel better when you’re lying down. However, small motions like coughing or sneezing may cause the pain to return. A slipped disc puts painful pressure on surrounding nerves when you’re sitting down. You may not have any symptoms of a slipped disc. If you do, pinpointing the location of your pain may help determine where you have a slipped disc. You may feel pain, numbness and tingling in different areas of your body. It depends on which of the three spinal regions the slipped disc is located in. Foot pain: A slipped disc in your lower back can push on your sciatic nerve. This causes shooting pain through your leg to your toes. Weak leg: Nerves run from your spinal cord to your legs. This is why a slipped disc in your lower back can cause leg problems and pain in your buttocks, thigh and calf. Numb hands: A slipped disc in your neck area may press on nerves that affect the feeling in your fingers. 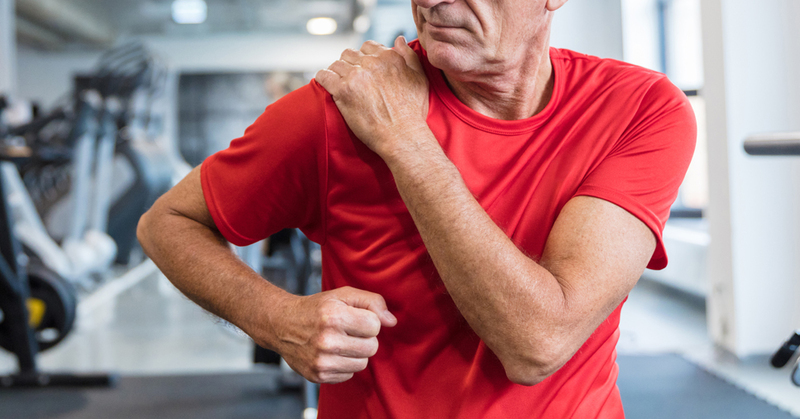 Shoulder and arm problems: A cervical slipped disc can cause multiple symptoms in your shoulders or arms, such as weakness, numbness and tingling. Pain when laughing: If you have a slipped disc in your middle back, laughing causes your core muscles to tweak your back’s nerves. Leg problems: A thoracic slipped disc causes multiple symptoms in your legs, such as sensitivity, weakness, numbness and tingling. It’s possible you have a bulging disc. But, if these symptoms don’t go away within six weeks, it’s time to see a doctor. CT scan creates a cross-sectional image of your spinal column. MRI confirms the location of a herniated disc and affected nerves. Myelogram injected dye in your spinal fluid uncovers herniated discs. X-rays rule out back pain issues such as tumors, infections, misalignment, broken or fractured bones. To find nerve damage, your doctor may recommend an electromyogram. This is a test that measures how well electrical impulses move along your nerve tissues. The test picks up interference in the electrical pulses. The electricity doesn’t flow where you have damage. An untreated and severe slipped disc can lead to permanent nerve damage. It can also lead to loss of bladder and bowel control. There are three levels of treatment for a slipped disc. First, your doctor may suggest medication. There are over-the-counter (OTC) or prescribed medications to help the condition. OTC medications include ibuprofen or naproxen. Pain killers or muscle relaxers may offer short-term relief. Cortisone injections may reduce inflammation to give your back and nerves a chance to heal. If medications alone don’t help, you might need physical therapy to strengthen your back and minimize the pain. If medication or physical therapy fail, you may need surgery. 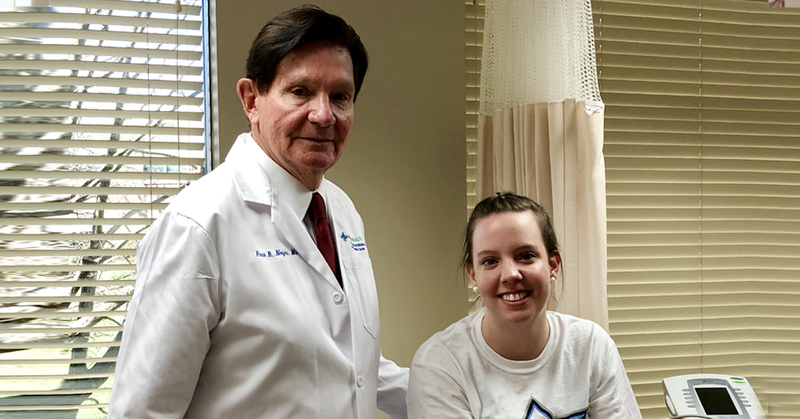 Surgery isn’t a common treatment for slipped discs, but when necessary the surgeon removes only the affected part of the disc to relieve your pain. You may want to add alternative treatments to your medication or physical therapy. Check with your doctor before you add chiropractic, acupuncture or massage treatments. To avoid stiff joints and back muscles, add easy activity to your routine, such as yoga. Gentle yoga can be a good exercise choice for people with back problems. Do you think you might have a slipped or herniated disc? If so, you’ll want to seek help right away. Find a doctor near you today.